Easiest way to integrate your Vera and Fibaro Home Centre 2 Z-Wave system with Apple HomeKit, Amazon Alexa and Google Home for seamless voice controls. Now you can control your entire home by voice. 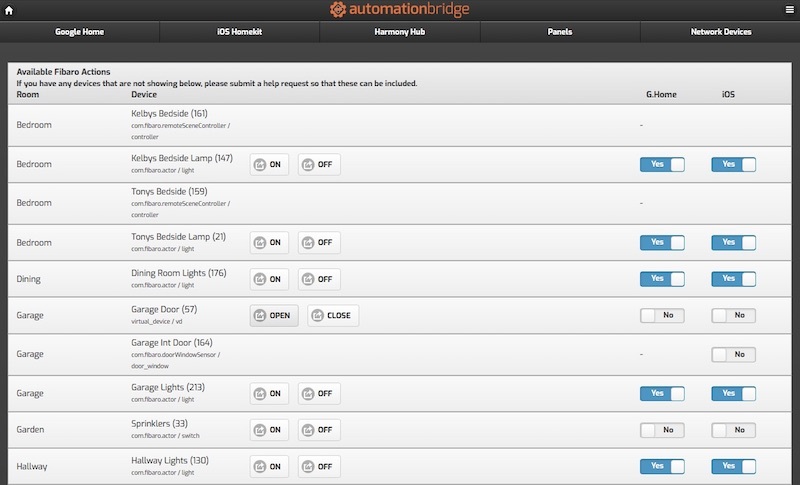 The Skaro Automation Bridge allows you to control z-wave devices from your z-wave Smart Home Controller using Apple HomePod (Siri), Amazon Echo (Alexa) and Google Home. Just connect the automationbridge hardware to your home network via the included ethernet cable and once connected, you will be able to securely access the clean, easy to use interface via your local web browser. Setup and unification of your smart home devices is then as simple as “point and click” – no complicated coding – you will be up and running in minutes and be able to include your Z-Wave devices and scenes. The automationbridge is designed to work with the Fibaro Home Center 2, Fibaro Home Centre Lite & Vera Edge/Plus Z-Wave Gateway Controllers giving you ability to turn Z-Wave devices on or off, dim lights and run scenes using voice controls.